An Indiana man accused of killing a Fort Dodge woman last August was brought back to Iowa early Saturday morning and was booked into the Webster County Jail. Phillip Williams, 26, of Lafayette, Indiana, appeared in Webster County Magistrate Court Saturday morning on a charge of first-degree murder. He and Mackenzie Knigge, 26, of Clare, are accused of killing 26-year-old Jessica Gomez on Aug. 5, 2017, at Knigge’s apartment. Gomez’s partially burned body was found in a roadside ditch on Aug. 12, 2017. 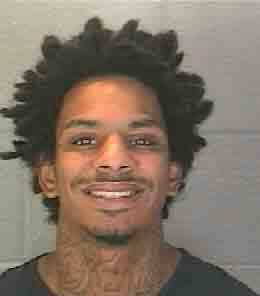 Williams was arrested on Aug. 11, 2017, in Bloomington, Indiana. He faced unrelated charges in Indiana, so he was not immediately returned to Iowa. “He finalized his charges in Indiana and was released into the custody of the state of Iowa,” Ryan Baldridge, the first assistant Webster County attorney, said Saturday. Baldridge said a private prisoner transportation company brought Williams to Iowa. Williams appeared in Magistrate Court via a video connection between the jail on the third floor of the Webster County Law Enforcement Center and a courtroom on the second floor. A handful of Gomez’s relatives were seated in the courtroom. Two sheriff’s deputies were also in the courtroom. Their presence made for a higher level of security than is usual for a Magistrate Court session. Magistrate William Habhab appointed the state public defender to represent Williams. He also scheduled a preliminary hearing for 4 p.m. July 13. Additionally, Habhab set Williams’ bail at $1 million, cash only. “I’m sure you’ll be hearing from the public defender’s office soon,” Habhab said to Williams. Knigge, who’s also in the Webster County Jail on a first-degree murder charge, is scheduled to stand trial beginning Aug. 7. Her trial is scheduled to start exactly a year after sheriff’s deputies were first called to her apartment at 524 E. Front St. in Clare. There, the deputies found blood, plus evidence that someone had tried to clean up the apartment. They also found evidence that a body had been removed from the apartment, according to a criminal complaint filed with the Webster County attorney’s office. Gomez and Knigge were publicly reported missing on Aug. 9, 2017. Knigge was arrested on Aug. 10, 2017, in Lafayette, Indiana. At the time, she was a passenger in a stolen 2006 Pontiac Montana van that was stopped by Lafayette police. She was returned to Iowa in September 2017. Williams was arrested Aug. 11, 2017. The body of Gomez was found Aug. 12, 2017, in a ditch along Indiana Avenue near Clare. Gomez was a Fort Dodge Senior High graduate and the mother of three children. Knigge and Gomez have previously been described as friends by those who knew them.